Bat mitzvah literally means "daughter of commandment." The word bat translates to "daughter" in Aramaic, which was the commonly spoken language of the Jewish people and much of the Middle East from about 500 B.C.E. to 400 C.E. The word mitzvah is Hebrew for "commandment." When a girl reaches 12-years-old she becomes a bat mitzvah and is recognized by Jewish tradition as having the same rights as an adult. She is now morally and ethically responsible for her decisions and actions, whereas prior to her adulthood, her parents would be morally and ethically responsible for her actions. Bat mitzvah also refers to a religious ceremony that accompanies a girl becoming a bat mitzvah. Often a celebratory party will follow the ceremony and that party is also called a bat mitzvah. For example, one might say "I am going to Sarah's bat mitzvah this weekend," referencing the ceremony and party to celebrate the occasion. This article is about the religious ceremony and party referred to as a bat mitzvah. The specifics of the ceremony and party, even whether there is a religious ceremony to mark the occasion, vary widely depending on to which movement of Judaism the family belongs. In the late 19th and early 20th centuries, many Jewish communities began marking when a girl became a bat mitzvah with a special ceremony. This was a break from traditional Jewish custom, which prohibited women from participating directly in religious services. Using the bar mitzvah ceremony as a model, Jewish communities began to experiment with developing a similar ceremony for girls. In 1922, Rabbi Mordecai Kaplan performed the first proto-bat mitzvah ceremony in America for his daughter Judith, when she was allowed to read from the Torah when she became a bat mitzvah. Although this new found privilege did not match the bar mitzvah ceremony in complexity, the event nevertheless marked what is widely considered to be the first modern bat mitzvah in the United States. It triggered the development and evolution of the modern bat mitzvah ceremony. Leading specific prayers or the entire service during a Shabbat service or, less commonly, weekday religious service. Reading the weekly Torah portion during a Shabbat service or, less commonly, weekday religious service. Often the girl will learn and use the traditional chant for the reading. Reading the weekly Haftarah portion during a Shabbat service or, less commonly, weekday religious service. Often the girl will learn and use the traditional chant for the reading. Giving a speech about the Torah and/or Haftarah reading. Completing a tzedakah (charity) project leading up to the ceremony to raise money or donations for a charity of the bat mitzvah’s choice. The family of the bat mitzvah is often honored and recognized during the service with an aliyah or multiple aliyot. 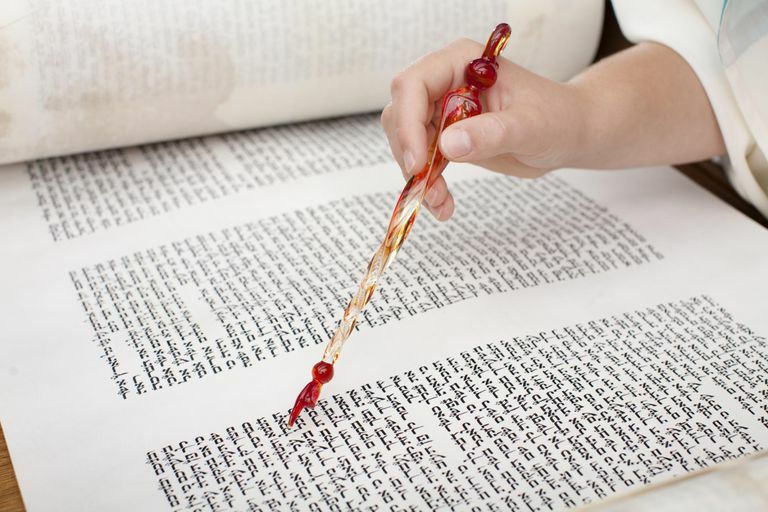 It has also become the custom in many synagogues for the Torah to be passed from grandparents to parents to the bat mitzvah herself, symbolizing the passing down of the obligation to engage in the study of Torah and Judaism. While the bat mitzvah ceremony is a milestone life-cycle event and is the culmination of years of study, it is actually not the end of a girl's Jewish education. It simply marks the beginning of a lifetime of Jewish learning, study, and participation in the Jewish community. Since the involvement of women in formal religious ceremonies is still prohibited in most Orthodox and Ultra-Orthodox Jewish communities, the bat mitzvah ceremony does not generally exist in the same format as in the more liberal movements. However, a girl becoming a bat mitzvah is still a special occasion. Over the last few decades, public celebrations of the bat mitzvah have become more common among Orthodox Jews, although the celebrations are different from the type of bat mitzvah ceremony described above. Ways of marking the occasion publicly vary by community. In some communities, bat mitzvah's may read from the Torah and lead a special prayer service for women only. In some Ultra-Orthodox Haredi communities girls have special meals for women only during which the bat mitzvah will give a D'var Torah, a short teaching about the Torah portion for her bat mitzvah week. In many Modern Orthodox communities on the Shabbat following a girl becoming a bat mitzvah she may deliver a D'var Torah as well. There is no uniform model for the bat mitzvah ceremony in Orthodox communities yet, but the tradition continues to evolve. The tradition of following the religious bat mitzvah ceremony with a celebration or even a lavish party is a recent one. As a major life-cycle event, it is understandable that modern Jews enjoy celebrating the occasion and have incorporated the same sorts of celebratory elements that are part of other life-cycle events. But just as the wedding ceremony is more important than the reception that follows, it is important to remember that a bat mitzvah party is simply the celebration marking the religious implications of becoming a bat mitzvah. While a party is common among more liberal Jews, it has not caught on among Orthodox communities. Gifts are commonly given to a ​bat mitzvah (usually after the ceremony, at the party or meal). Any present appropriate for a 13-year-old girl’s birthday can be given. Cash is commonly given as a bat mitzvah gift as well. It has become the practice of many families to donate a portion of any monetary gift to a charity of the bat mitzvah's choosing, with the remainder often being added to the child's college fund or contributing to any further Jewish education programs she may attend.